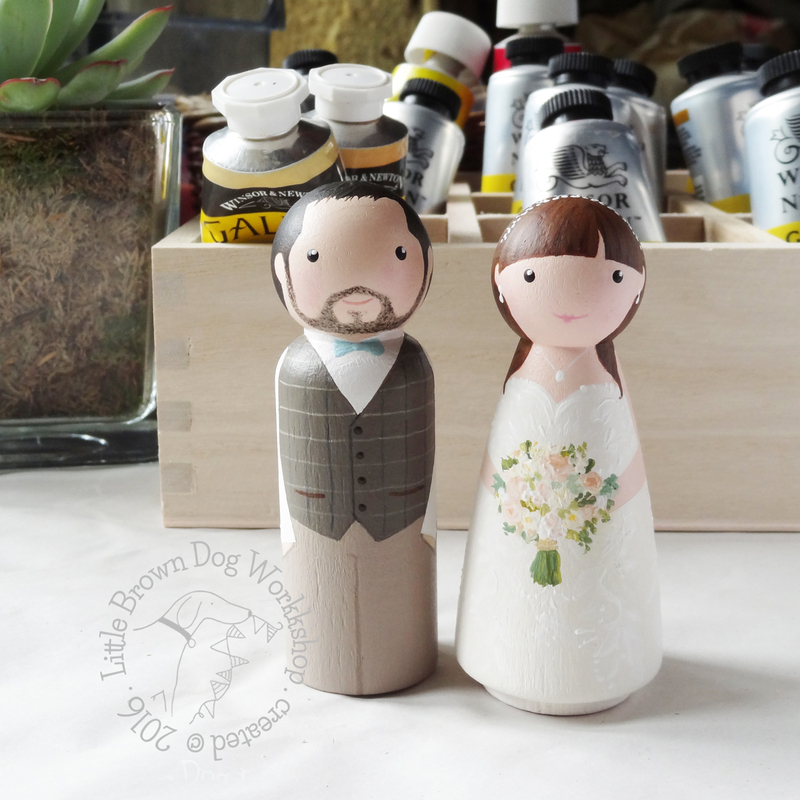 Hand painted wooden peg dolls, wooden decorations, custom peg doll wedding cake toppers and peg doll supplies from Susan of the Little Brown Dog Workshop. Little Brown Dog Workshop's wooden decorations, prints and figures are exclusively designed and individually hand made right here, overlooking the Churnet Valley. Crafted with the greatest care from fabric, wood, paint and stitch; you won't find others like them. Every figure is sketched, painted, sanded, moulded and stitched in the studio, whilst the dog snores on his bed nearby.. As well as hand made ornaments, you can find unfinished wooden peg doll blanks so you can have fun making your own! There's an online store at www.littlebrowndog.co.uk. If you are based in the Churnet Valley area, please get in touch for a voucher code for free local delivery! The Little Brown Dog is also on Facebook, Instagram and the Little Brown Dog Blog... look forward to seeing you!